Blues Hogs Tennessee Red Sauce is a vinegar/pepper based sauce that can be found in "barbecue joints" down in the South. This vinegar sauce adds such a great boost of flavor to all food with a side of zesty attitude. Tennessee Red Sauce has a vinegary spice and sweet taste that makes it irresistable on pork or beef sandwiches, chicken, and it's exceptional on pulled pork. This Tennessee sauce is great for marinating chicken or using it as a mopping sauce on the grill; you can even use this vinegar sauce on side dishes like baked beans for extra flavor. 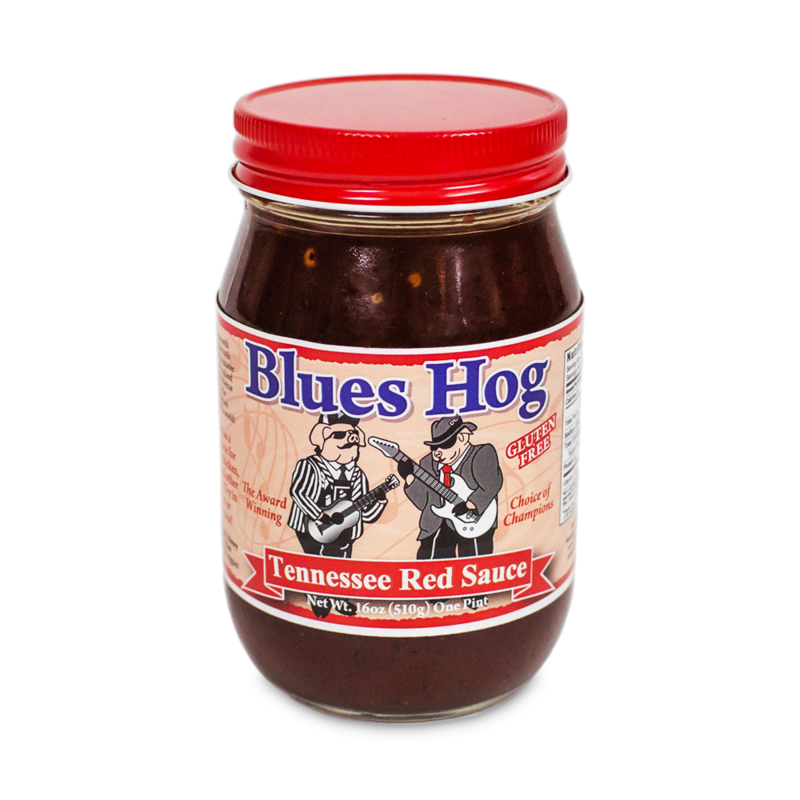 Blues Hog Tennessee Red Sauce makes an excellent table topper for it's versatility to go great on any dish. Give your food a unique boost of flavor with this vinegar-based, Tennessee Red Sauce. Pro-Tip: If this 16 oz jar is not enough to satisfy your tastebuds, upgrade to out 1/2 gallon size of this delicious red sauce! This sauce isn't the best I have tried but it's not the worst. Probably won't order again. Blues Hog Tennessee Red BBQ Sauce is one of my favorite sauces for pulled pork. This savory sauce strikes a perfect balance between tangy, sweet, and spicy. It's also great for glazing ribs with overpowering the natural flavor of the pork. It'a must have in your arsenal of sauces, you just can't go wrong with this product.